We offer special pricing & volume discounts for Government, GPO, Health System, & Healthcare Facilities! Contact us for details. FSN Medical Technologies has solutions for managing your operating room video signals. All FSN medical surgical monitors are engineered and built for compatibility with other highly specialized surgical and diagnostic equipment used in surgical suites, operating rooms, emergency rooms, and procedural facilities. 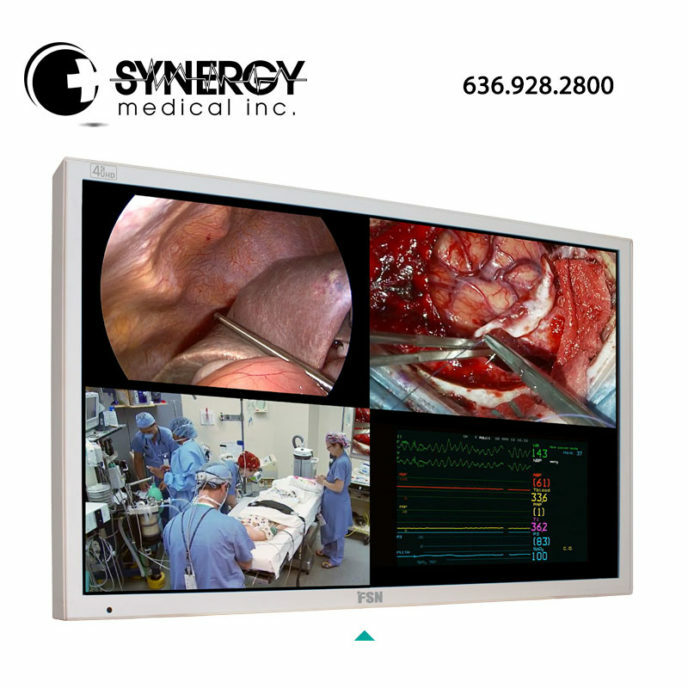 The FSN FS-L5502D 55 inch 4K UHD medical display is uniquely equipped to handle tasks in the demanding OR environment. FSN medical’s 55 inch 4K LED display features signal input options for DVI and DisplayPort, plus DC out power for smaller components. With a slim, sleek design and a flush-front glass bezel, the FSN FS-L5502D is ideal for showing crystal clear 4K images, and can be mounted to most OR boom arm systems. FSN medical has fine tuned the color display properties of their surgical monitors, which allows distinct color space settings to be calibrated to well known surgical display color preferences. 21 inch NDS Endovue 90K0012 Specifications We offer special pricing & volume discounts for Government, GPO, Health System, & Healthcare Facilities. Contact us for details.